Fox Concealed Carry Messenger Bag - Cotton Canvas Construction, Leather Trim, Multiple Pockets, Adjustable Shoulder Strap - 7”x 12”x 16” | BUDK.com - Knives & Swords At The Lowest Prices! 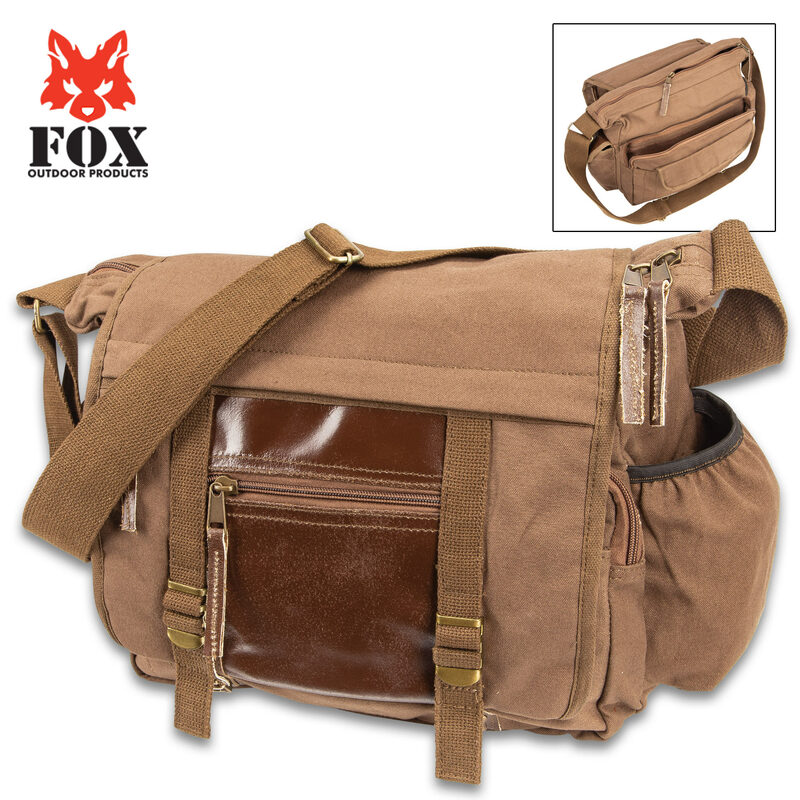 The Fox Concealed Carry Messenger Bag is a stylish messenger bag, with a vintage look, that features a back panel concealed-carry pocket with magnetic snaps for rapid access. 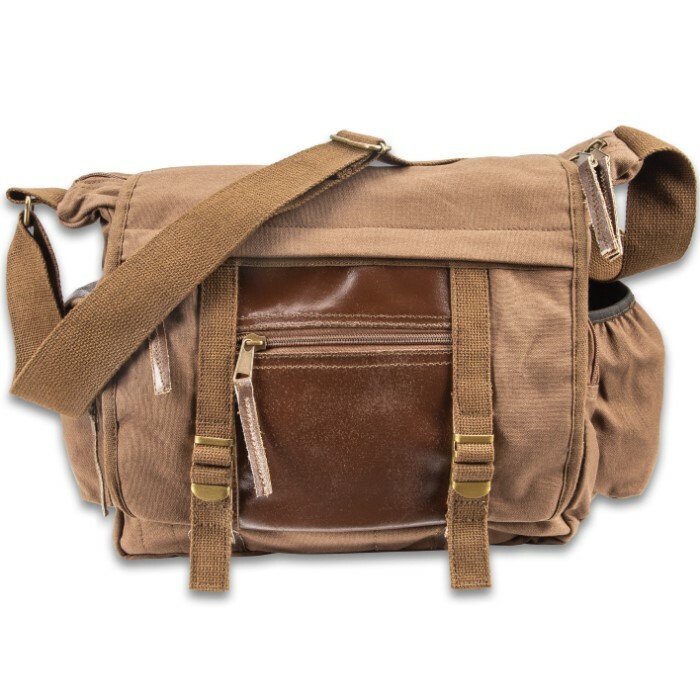 The messenger bag is made of heavy-duty, brown cotton canvas with genuine leather trim and brass-colored metal hardware. 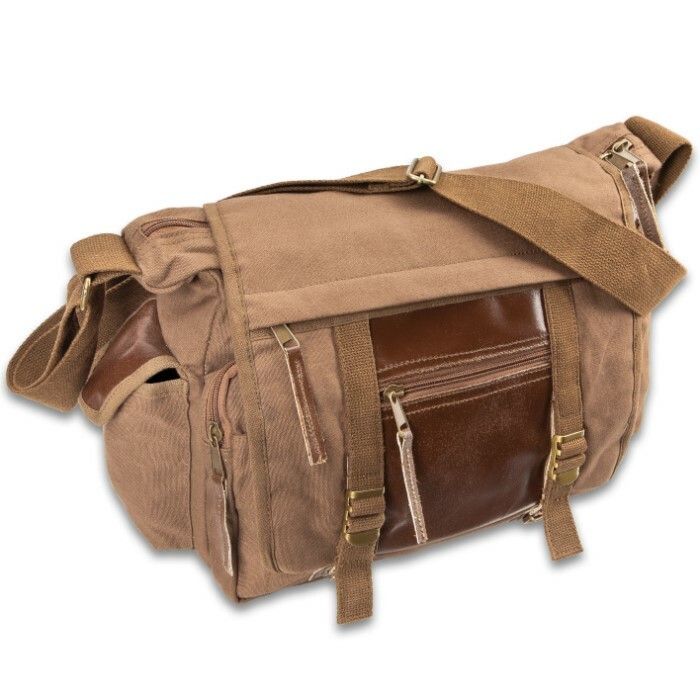 The rugged bag has multiple pockets including two zippered pockets on the front flap and a pocket on each side with a drain grommet. The zippered main compartment has a Velcro closure pocket and a zippered pocket inside and a zippered pocket on the outside, plus two more pockets with a flap closure with magnetic snaps. 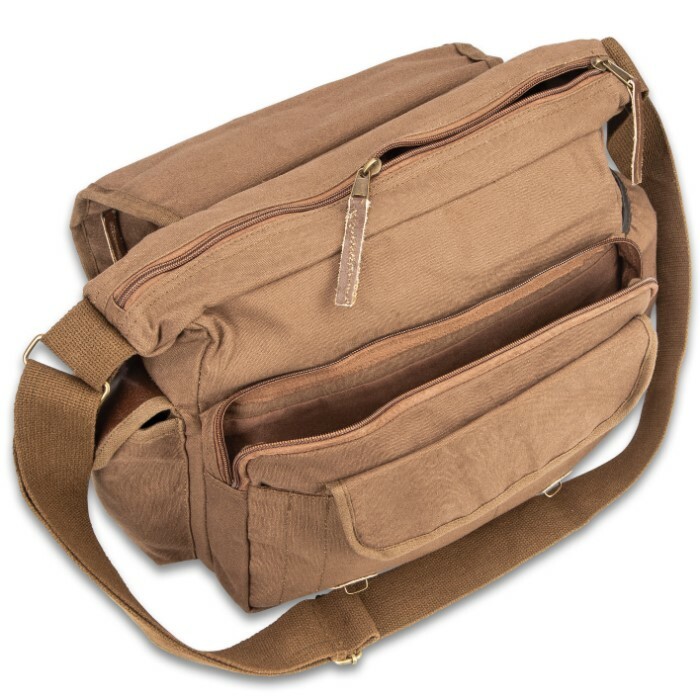 The 7”x 12”x 16” stylish concealed carry messenger bag has an adjustable nylon webbing shoulder strap that is sturdy.